Summer is a great time to finally get around to all the paint projects that have been building up over the year. 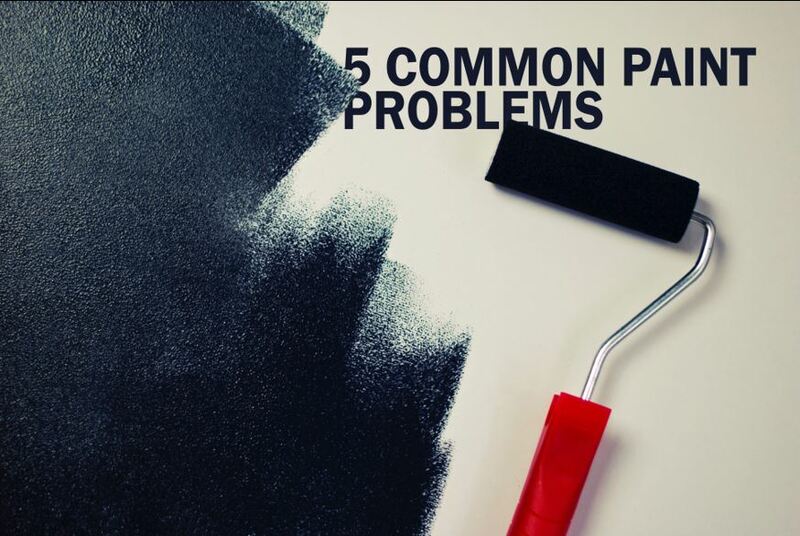 With this in mind, our paint expert, Brian “Boomer” Garleb has come up with his top five problems that most paint projects will run into at some point and how to fix them. Fish eyes: Fish eyes occur when paint has been applied over oil, dirt, silicone, or incompatible coatings. Luckily, fish eyes are an easy fix. First, you’ll need to remove the grease or oil stain with a cleaning solution. Usually bleach, paint thinner, or trisodium phosphate (TSP) will work. After the area has been cleaned, the area can be sanded down. Cratering/Pitting: Another common problem is cratering or pitting. This occurs when air pockets get trapped inside wet film. The solution, however, is easy enough, and just involves sanding or smoothing out the existing finish and applying another coat over the sanded area. Uneven gloss: Uneven gloss is when film thickness is not equal, when there’s moisture in the coating, or when a topcoat is applied over wet primer. Solving this problem simply means allowing more drying time. Fading paint: Moisture trapped behind paint is more likely to cause paint to fade. Purchasing paint already colored for factory, which has a powder tint rather than a liquid tint, is an easy way to fix this common problem. Paint wrinkling: This happens when too much paint is applied. To fix it, remove the bad paint and recoat the affected area. So there you have it, five common problems and five simple solutions. If you ever have a paint project or other service projects you don’t feel up to tackling, you can let Gateway FS Construction Services know. You can give us a call at 866-551-3454, and let our specialists help you find exactly what you are looking for. We look forward to providing you the best customer service experience. FS Construction Services has been a construction, equipment, and service leader for over 40 years. Over that time we have learned a lot, and we see it as a part of our job to share that knowledge whenever we can. We have always been a community-first company, and even as we’ve grown over the years, we always work to make sure that never changes. This past February, a client of ours wanted to upgrade their old seed equipment to a brand-new USC LPV treater, a direct-inject pump stand, and a USC U-Batch treater to over treat corn. The LPV treater features an innovative, large, tilting drum which encourages a high seed-flow rate and a longer dry time. 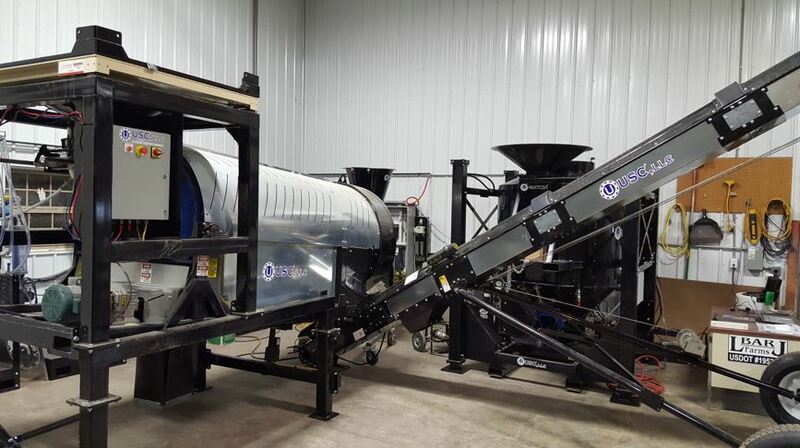 The new U-Batch treater allows our client to over treat corn with biologicals, nemacides, and inoculants, as well as the ability to evenly coat treated seed with any dry material they wish. We wanted to make sure our client felt comfortable working with all this new equipment, so Justen Kempfer, our Seed Treating Solutions specialist, not only oversaw installation, but provided extensive user training and support, ensuring our client wasted no time in getting the most out of their new treater. However, there was one more opportunity we had to help our client out. One of the benefits of being in the business so long, is that we know a lot of people, so we were able to work with another industry specialist to facilitate the sale of our client’s old equipment to another seed dealership, which was a win-win them and us. If you are interested in seed treating equipment, from portable to commercial options, you can let Gateway FS Construction Services know. You can give us a call at 866-551-3454, and let our specialists help you find exactly what you are looking for. We look forward to providing you the best customer service experience.